Aphra Brown is bold and outgoing. Her best friend, Bethany, is achingly beautiful. Individually, they could both do a little better in the self-esteem department, but together? Together, they have what it takes to win over Greg D’Agostino, a proverbial “ten,” who happens to be fluent in six languages—seven if you count the language of smoldering gazes… What begins as an honest mistake turns into an elaborate deception, wherein Bethany goes on dates with Greg while Aphra coaches her on what to say, and texts him in the guise of Bethany, trying and failing, all the while, to tamp down her own hopeless crush. It’s only a matter of time before things come crashing down. The question is: What will happen when Greg finds out? And can Aphra and Bethany’s friendship survive the fallout? From the author of We Regret to Inform You comes a witty, warm-hearted exploration of love in all its forms, and a cris-de-coeur for self-acceptance when the pressure to be perfect is overwhelming. I have read, and adored, Kaplan's last two books. At this point, I want to read anything she writes, but I am very intrigued by the concept of this story. It's a Cyrano retelling, and I like the spin on it. Kaplan is good at witty and humorous dialog, and books with female friendships are always high on my list. I am confident this will rate high by me. That whole synopsis is full of feels. I love that we are seeing more books featuring characters in the foster care system, and Nova sounds like a girl after my own heart. Her love of science alone makes me want to know her better, and I like the promise of friendship in there too. I love the idea of a Cyrano retelling and it sounds like the author has come up with a fun take on that story. Great pick! I suspect it will be modern and perhaps, feminist? I know it will definitely be funny, because all Kaplan's books have amused me. I at least know what I would like to read, and usually, I do end up enjoying all my picks. When I am looking for something guaranteed to hit me in the feels and leave me warm and fuzzy, I turn to middle grades. Those authors are delivering some amazing books. Kaplan is 2 for 2 with me, and I am hoping to make it 3 for 3. This one sounds fantastic! Cute picks! Not my type of read but I hope you will absolutely love both of these once you get to read them! Kaplan is so good at banter, and I have been having such a run of luck with these wonderfully heartwarming MG books. I feel like Planet Earth will deliver for me. 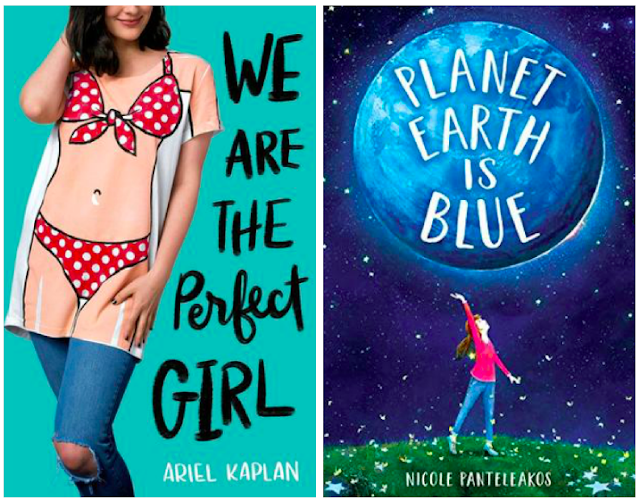 We Are the Perfect Girl sounds very fun, and I'm very into retellings this year! I like a retelling that does something interesting with the source material, and am looking forward to seeing what spin Kaplan put on it. Oooh! I love the cover to Planet Earth! Great picks!! fun covers. thanks for sharing. Agreed. Both caught my attention. We Are the Perfect Girl sounds like it's going to get messy real fast. Hope it ends up being as entertaining as it sounds! I am confident Kaplan will make it all work out. She likes to wade through the messes in her books. I think Kaplan will give us a fun twist on it too. We Are the Perfect Girl sounds awesome! I hope you get to read both of these soon! We are the Perfect Girl sounds good but there's a very fine line to be walked with Cyrano re-tellings... They can go horribly wrong. Fingers crossed this is a good one! I sure things will get messy, but I also believe Kaplan will make it work. 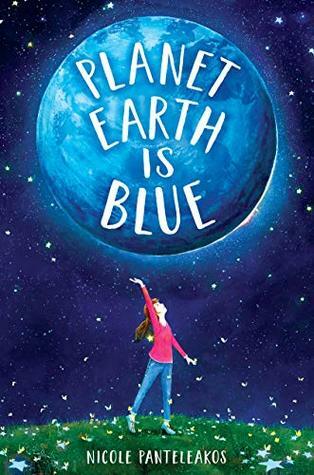 Planet Earth is Blue sounds like a fun read, they both do really. I will have to check these out. I hope you enjoy them when you read them! I feel like I need to feature three books a week, because I am always adding books to my TBR from MG, YA, and the adult age range. He was a not so attractive guy, who was good with words, and helped his more attractive friend win the heart of the woman he really loved. Yeah, it's complicated, but it's about being able to see past the exterior to the interior of a person's heart.